Rave ReViews Home Staging is based out of Jacksonville, FL and stages homes for sale in the surrounding counties and cities. With a team of 4 stagers, Rave ReViews stages multiple houses a week to help sellers and agents sell their homes quicker and for higher prices. Melissa Marro, the lead stager and owner of the company, is also a top producing listing agent with Keller Williams First Coast Realty and stages all of her team's listings. I'm so glad you found me. My name is Gina Graham and I've lived in Florida for over 20 years. I've been in a sales and marketing career for the last 8 years, before I became Certified in Staging and Redesign. Why Staging and Redesign? I am the girl who walks into the room and notices how it is decorated, who watched HGTV since its debut and tried to recreate the looks into my own space, who had her dorm room decor planned out before she ever walked on campus. (oh, to have 3M hooks back then! ;)Though I never considered a career in design, the education and experience I have complements my staging business. The touch of a professional decorator is key to staging a home, it is not the only factor. Knowing your target audience (buyer) is critical to appealing to their needs. It's not about selling a product (home) but a benefit to their procedures (lifestyle). Staging your home for sale, puts the best features of your home on display. Highlighting the fireplace, or the beautiful view outdoors with furniture placement and lifestyle staging, can bring value to your home. Decluttering and depersonalizing seem to be the obvious keywords in getting your home ready for sale. It can be a daunting and disheartening task. A professional stager can help you navigate the details of making your house irresistible to buyers. Where staging takes your personality out of your home, Redesign infuses your personality into your space. Your favorite color or your favorite furniture piece, can be highlighted in unique ways in your home. A professional decorator can take your dream into a plan of action, with great results. If your staging to sell or redesigning to stay, I will gather the best, to transform your space, so you gain an inspired home. 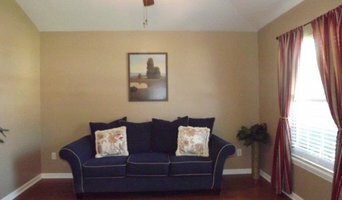 Jacksonville Home Staging - 90% of our staged homes sell within 15 days. We have been staging in Jacksonville since 2004. Transformations is also an award-winning home staging and redesign certification training center. We offer staging and redesign services. As an ASID designer with more than 25 years of experience, I am uniquely qualified to take a home staging or home styling project to a higher level. Our company has been featured in the Florida -Times Union, Waters Edge Magazine, Women's Digest and many other publications. We have received the "Best of Jacksonville" award for home staging and design for three years in a row. Personalized service in home staging and redesign. 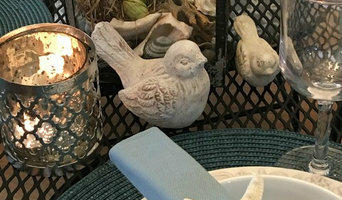 Knowing that every client is unique, I assess your needs and go above and beyond to help you achieve your goals, whether selling your home for top dollar, refreshing and restyling areas of your current home, organizing and decluttering problem areas, or downsizing to a smaller space. Best of Houzz 2016 ~ Customer Service. Professional High-end Property Staging and ReDesign. Improve Function and Feeling in any space. Jana Ray has been organizing and staging homes for many years- now professionally for several. JR can provide a quick fix to refresh your home or thorough home staging for resale. The homes she has staged have sold the first day on the market and have even experienced a 3 way bidding "war" resulting in the Homeowners getting top dollar for their home. JR provides ongoing organization "visits" or will organize as little as desired to whole house organization. The best part is that SHE does all the work! She promises to exhaust all possibilities of different arrangements to improve functionality and flow of your home in the most economical manner. Repurpose, refresh and redesign. JR develops and maintains a relationship with her clients- her goal is to make people 100% happy in their homes. JR will tackle your project with meticulous attention to detail- It is clear JR loves her work. Welcome Home - Open your Door to Home Staging We are a family oriented Company and love the small business relationship we have with our clients. We strive everyday to make our clients feel like family. Nest & Nesting allows us to get more personal with our clients, as they open their homes to change and growth. When selling your home, you will greatly increase your chances of getting the highest price by staging your home. 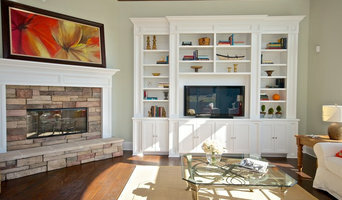 Staging gives your home an advantage by maximizing its best features and minimizing its quirks. For staging to be successful, it helps to hire an expert staging company We will carefully consider who your buyers will be and create a staged home that targets your specific buyer. It is essential to create an atmosphere that will be desirable to your market. In the Jacksonville area alone, there are literally thousands of realtors from which to select. It can be overwhelming. How can you choose which Real Estate Agent is right for you? At Sell or Dwell?, our focus is not just on acquiring the listing. We are here to truly help you prepare your home by professionally staging each listing as if it were our own home. This service means that each owner-occupied listing will be professionally staged free of charge. This is typically an 8 hour in person service. We come in your home -we get to know you. And we help you every step of the way. I encourage you to talk to a friend or neighbor that currently has a home listed for sale and ask them the last time their realtor spent a day in their home preparing it for sale. If you're looking for a "list and run" realtor - then keep looking. If you're ready to make an investment in making your home look its best and thus result in a quicker sale at a higher price - give me a call! My passion is home staging and redesign. I have always loved decorating. I would find myself at my friends houses just moving things around, or at a store picking up something for a family member because it matched their living room. One day my daughter asked me to help rearrange her house because she was listing it to sell. Her realtor asked if she used a stager. When my daughter told me this, I realized I found my calling! I am HSR certified and a member of RESA. So, my mission is enhancing the appeal of any environment through creativity and design to create an alluring blend of attractiveness and comfort. Through redesign, I'll declutter, rearrange and organize where you wish, even closets! Through home staging, we'll work with your budget to do whatever would best appeal to potential home buyers, so your home sells fast and for the best possible price! My specialty is home staging and redesign. My service provides techniques which focus on improving a properties appeal and sale value in the real estate marketplace. By transforming the home into a welcoming and more attractive product, this allows the home to appeal to the highest number of potential buyers. I stage houses for sale and I redesign using the homeowner's furniture and accessories. Providing home staging services for Realtors and Private Homeowners. 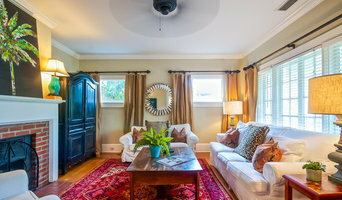 What does an Orange Park home stager do? Home staging companies in Orange Park, FL employ a variety of different techniques to present the home in the best light possible. The first step will likely be to make sure the home is impeccably clean, including the exterior of the house. Next the home stager will work on removing the personal touches that are unique to the current owners. Paint colors might go from dramatic reds and purples to neutral tones like beige and taupe, in order to appeal to the masses. The home will likely be cleared of family photos, risqué artwork, collections and knickknacks, so potential buyers will be able to better envision their own life in the house. In some cases furniture will be swapped out, and you might not even recognize your own house. Some Orange Park home stagers tackle most of these tasks themselves, while others work with subcontractors and other professionals to get the job done. Here are some related professionals and vendors to complement the work of home stagers: Interior Designers & Decorators, Photographers, Real Estate Agents. The process of staging a home can be difficult for some homeowners, especially when being asked to change things you’ve poured your heart and soul into over the years; but try not to take anything personally, as the stager only has your best interest in mind and no intention of insulting your personal taste. Before you contact a professional home staging company in Orange Park, FL, make sure to consider a few things: Are you willing to change your home and take the advice of this professional to help sell your house? Do you think your house would greatly benefit from the help of a stager? How long are you comfortable having your home on the market? A staged home is likely to sell faster and, on occasion, at a higher asking price than a non-staged home. While there is no guarantee this will always be the case, it’s often true and can make the entire selling and moving process a lot less stressful in the long run. If you are selling through a real estate agent, it’s a good idea to get their opinion on whether staging your home would be beneficial to your specific situation. Find a certified Orange Park home stager on Houzz. Narrow your search in the Professionals section of the website to Orange Park, FL home stagers. 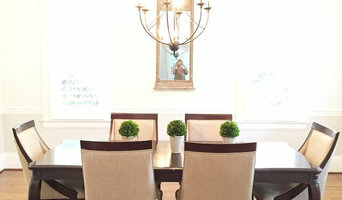 You can also look through Orange Park, FL photos by style to find a room you like, then contact the professional who staged it.